Microsoft Excel is one of the most used office tools all over the world. This is one of the most operated tools all over the world. Microsoft Excel is used in schools, colleges, offices, organizations and much more. There are numerous ways in which Microsoft Excel can be used. Since it is a famous tool, getting certified in operating and managing Microsoft Excel. Your skills in Microsoft Excel can be easily measured with the certifications that you hold in this area. Microsoft provides various levels of certifications to the people who are interested in learning more about Microsoft Excel and enhancing their skills in the field. The professionals who want to get certified need to pass exams and earn the certificates by showcasing their knowledge in the area. There are numerous benefits of getting certified as this is a one-time investment you will make that will profit you for a lifetime. All you need to do is work hard, study and gain some skills and get certified. From entry level to professional level, there are numerous job opportunities for the candidates who have these certifications. If you want to know more about the Microsoft Excel Certifications, we will explain to you the types and will also give you some important tips that will be helpful for you. 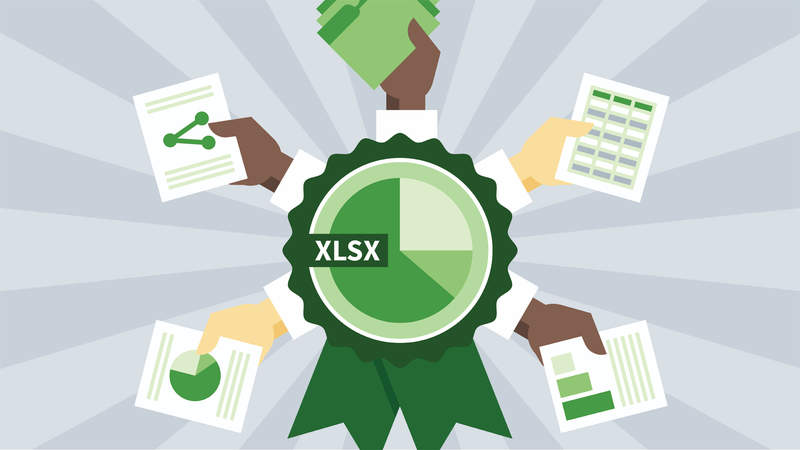 The Microsoft Excel Certifications fall into three major categories. Each category is the level of expertise a person has with the selected tools. Each category has different certification types. In total there are 14 types of certifications and the candidates need to pass different exams to earn these. A person who has a certification in Excel from Microsoft is the Microsoft Office Specialist and as the level increases, he or she becomes an expert and then a master. The next category is the Microsoft Office Specialists Experts. This is the expert level certifications where the candidates holding these have expert level knowledge about Microsoft Excel and its functions. The candidates are required to have in-depth knowledge of each and every function of Microsoft Excel. This certification can be earned by passing one of the following MOS exams. As the name suggests, this is the highest level certificate also known as the master level. The candidates need to have all the knowledge of Excel in order to be certified as a master. To have the master level certification, you should have an in-depth knowledge of the office programs and should be able to apply them in situations where necessary. The candidates can have the following certifications to become MOS Master. They will have to first pass the exams that are associated with these certifications in order to earn the title of the master. Here are some important tips that all the aspirants and the candidates should keep in mind so that they can successfully obtain the certifications and get high paying jobs at big companies. 1. The syllabus and study material are all available on the official Microsoft website. You can find various online study sources also on the website that will help you with gaining more knowledge so that you can earn these certifications. 2. Before applying for any of the exams, make sure you have read all the terms and conditions and eligibility criteria. 3. These certificates are proof that you are efficient in using Microsoft Excel and hence the exams are designed in a way that only people with sufficient knowledge are able to clear them. 4. If you want the certificates to benefit you for a lifetime, it is important that you check their validity and renew them before they expire. If you are someone who is looking for a job in the business or any other field that requires the knowledge of Microsoft Excel, it is important for you to have either of these certifications provided by Microsoft. Most of the big companies require the candidates to have one of the certifications. Microsoft Certification can help you in becoming the first priority of the interviewers. These certifications can also be helpful in getting your promotions and more job opportunities. It is important to remember that getting any of these certifications requires the candidate to have certain skills in that area. Hence, if you want to get certified, it is important that you practice and learn the skills before you register and apply for the exam. For more information, you can check the official Microsoft website.